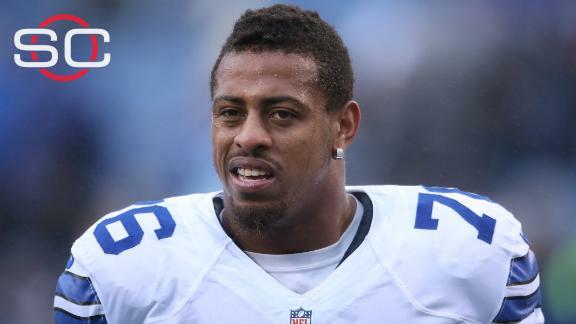 RICHARDSON, TX -- Former Dallas Cowboys defensive end Greg Hardy, who remains unsigned after a tumultuous 2015 season revolving around his domestic violence case in North Carolina, has been arrested on a cocaine possession charge in Texas. 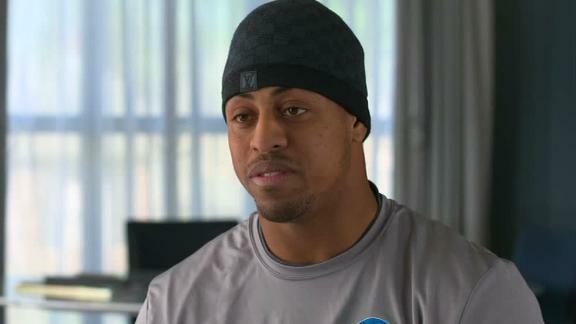 Greg Hardy, who remains unsigned in free agency, said Monday in an interview with ESPN that he has never hit a woman. Jail spokesman Tim Weed in the Dallas suburb of Richardson said Hardy was arrested early Monday and booked on a charge of possession of a controlled substance. He was released on $5,000 bond Monday afternoon. The 2013 Pro Bowl player was pulled over late Sunday night for failure to signal a left turn, and a search of his vehicle revealed what police said was cocaine and an item containing marijuana remnants, according to police documents. Hardy told police he didn't know what was in a bag that police said contained cocaine, and Hardy said somebody gave him the bag at a party the previous night. Police said a substance that tested positive for cocaine was found in his wallet, but Hardy said he had been passing his wallet around at the party "because he was paying for everybody and that must have been when the baggie was put in his wallet,'' according to the police report. Despite off-the-field issues and now being a member of the Dallas Cowboys, Greg Hardy still has the support of some of his former Carolina Panthers teammates. Hardy's agent, Drew Rosenhaus, declined to comment. The NFL didn't immediately respond to a request for comment. The police report also made reference to a couple of gun club membership cards in Hardy's wallet. When the NFL suspended Hardy for 10 games over his domestic case, the league cited the presence of guns in his apartment in the ruling. An arbitrator reduced the ban to four games. 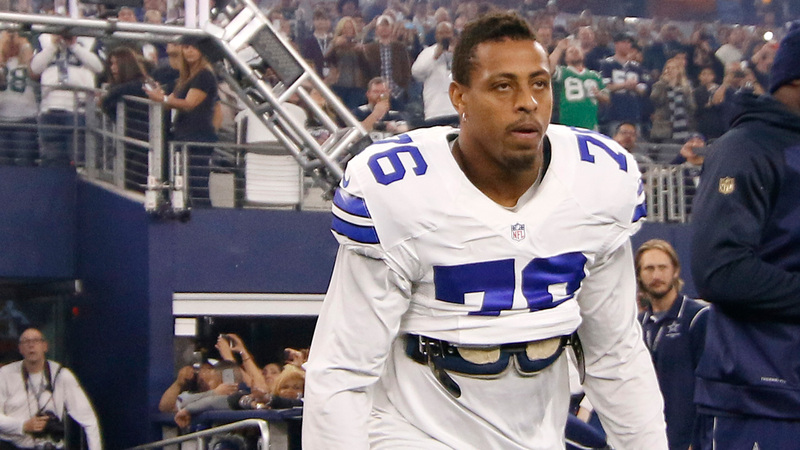 Dallas Cowboys owner/general manager Jerry Jones met recently with Greg Hardy to discuss the defensive tackle's recent behavior, two sources said. The 28-year-old Hardy played for the Cowboys last season after spending the first five years of his career with the Carolina Panthers. He had six sacks in 12 games for the Cowboys in 2015 after missing the first four games of the season due to a suspension stemming from a domestic violence incident that occurred while he was playing for the Carolina Panthers in 2014. Hardy had two sacks of New England Patriots quarterback Tom Brady in his first half of a game last season, and he collected four sacks in his first four games, but he had just one sack and two half-sacks in the final eight games. 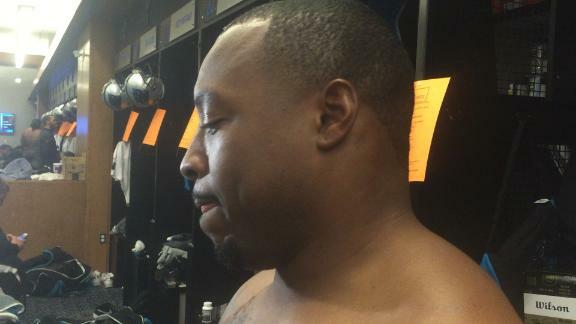 The Cowboys' coaches credited him with 35 tackles and a team-high 32 quarterback hurries. He also had five tackles for loss, an interception and a forced fumble. 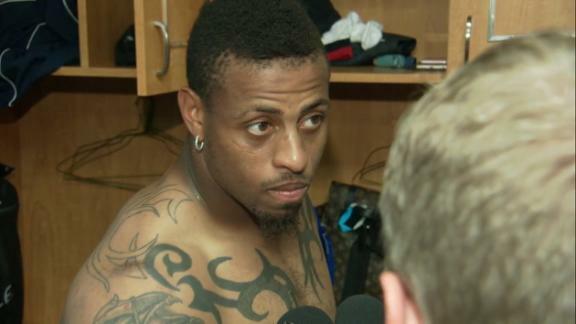 Cowboys defensive end Greg Hardy, for a brief time Wednesday morning, made a statement by changing his Twitter profile to paint himself as a victim of discrimination. Hardy did not produce the sack total the Cowboys had in mind when they signed him to a one-year deal worth as much as $13.1 million last year. That deal contained no guaranteed money, and because of the suspension and failure to reach any of his sack incentives, Hardy earned roughly $8.8 million. He also earned attention off the field. In his first extended public comments after the completion of his suspension, he said he would come out "guns blazing" and made inappropriate comments about Brady's wife. 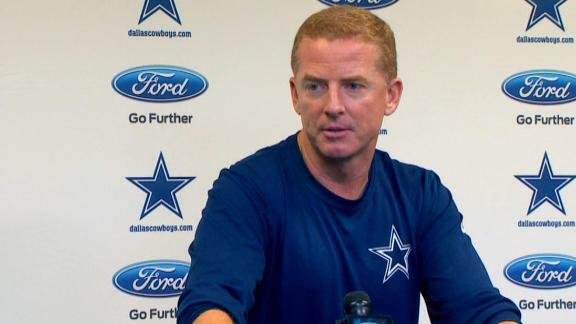 On at least two occasions, Cowboys coach Jason Garrett had to speak to Hardy about his Twitter feed. Owner and general manager Jerry Jones also had a sit-down meeting with Hardy later in the season. Although the charges from his 2014 domestic violence case were dropped and Hardy's record was expunged, Deadspin released photos in November from the night of the incident between Hardy and ex-girlfriend Nicole Holder that showed bruising to her back, jaw and feet. In an interview with ESPN, Hardy said he was an "innocent man" and denied he had ever put his hands on a woman. Of the photos, he said: "Pictures are pictures, and they can be made to look like whatever they want to." Hardy was a Pro Bowl selection in 2013, when he had a career-best 15 sacks. He has 40 sacks in his career. ESPN Cowboys reporter Todd Archer and The Associated Press contributed to this report.